Often, there are inquiries that arise when you are considering an appraisal (especially if you have never had a property valuation report before) or right after an appraisal has been completed. We have compiled a list of the most commonly asked questions and their answers below. We hope this will help you understand the appraisal process a bit better. Why are appraisals so expensive? Great question. The fact is, there is no such thing as an accurate, free home appraisal. That being said, appraisals really are not expensive, unless a third party is involved; typically a third party is only involved when the appraisal is being used for mortgage lending. Since Aspen Appraisal Group does not set the pricing these third parties charge, we have no control over third party rates. Due to the ‘housing crisis’ of 2008, many politicians have become intimately involved in making rules and regulations for the banking (and thus, the appraisal) industry. Some of these rules have to do with how an appraisal is ordered and delivered when a lender is involved. Thus, third parties are typically engaged by the lender when the appraisal is needed for lending purposes. As with any middle-man, they want to be paid for their services as well. Often, those fees are not disclosed to you. Though appraisers are typically prohibited from revealing how much we get paid for our part of a third party appraisal, you can be sure that it is often only a percentage of the total you paid. When you see free home appraisal being advertised online or on billboards, remember that these services are either not being performed by experienced professionals, or may include hidden fees. But the appraiser only spent 22.8 minutes at my house! Appraisers are not home inspectors. Unlike inspectors, we do not need to look in every nook and cranny of your home. We typically do not need to look in your crawlspace, attic, check your insulation, wiring, plumbing, etc. For us, what you can readily see is what you get. Essentially, we are viewing the home through the eyes of a potential buyer. At Aspen Appraisal group, we are concerned with how your home might look to a potential buyer. Because of our familiarity with Salt Lake City appraisal, our inspection is much like what would happen when an interested buyer might walk through your home with a real estate agent. Most of the appraisal service will take 4-8 hours from beginning to end. Some of that work happens before we get to your home, but most will occur after we leave. What happens during the inspection is only a portion of the overall service provided; remember, there’s no such thing as a free home appraisal, and you get what you pay for. Once the Aspen Appraisal Group leaves your home, the real work begins. There are many approaches a professional appraiser may take in valuing your home, but the Sales Comparison approach is the most common and usually the most accurate. An accurate appraisal is helpful in publishing an accurate Multiple Listing Service (MLS) listing. The Sales Comparison approach involves using recent sales data to find other homes within a certain proximity that are comparable to yours. Unfortunately, this is not always possible, but we do the best we can and use all relevant data that is available. Once those sales are found and researched, the Salt Lake City appraisal process involves the appraiser driving past each of those properties to get a better feel for their compatibility, and make adjustments to bring the differences more into line with your home. An extensive reconciliation process is performed, and the value is derived from this Multiple Listing Service (MLS) market data. The fact is, the appraisal process is not an exact science. Instead, it is best described as an opinion of value with an emphasis on the expertise of the appraiser. However, the property valuation report obtained is usually fairly accurate because it is based on data derived from the current market. Many people think that since they are not selling, it is okay for the appraiser to boost the value a little. 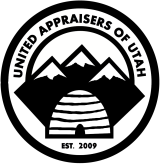 Please understand that the valued opinion Aspen Appraisal Group provides is no different whether the Salt Lake City appraisal, or Utah real estate appraisal, is for a purchase or for a refinance. In the eyes of the appraiser, they are the same because we strive to be an unbiased third-party for the client. The only difference is that with a purchase, the purchase contract must be part of our analysis. It depends. If the appraisal is for a mortgage and you are the borrower, the lender is the client. Since the lender is the client, the appraisal is sent directly to the lender. The lender is required by law to give you a copy of the property valuation report. This may happen before or at closing, depending upon your agreement with them. Also, it may come in digital format or as a hard copy, depending upon your lender. Other than this situation, the client (the party ordering the appraisal) has rights to the appraisal and determines who gets a copy of it. Can I talk to the appraiser about the appraisal? In short, if you are the owner of the appraisal, yes. One of the most misunderstood aspects of the appraisal process is the question of “Who owns the appraisal?” In the case of appraisals for mortgages, these practices are rooted in legislation. In these situations, the owner of the appraisal is not typically the person who paid for it; the owner of the appraisal is the lender. In other words, even though a borrower/buyer is paying for the appraisal to obtain financing to buy their home, the lender ordered the appraisal, so the lender is the client. If you did not order the appraisal, the client, as stated on the property valuation report, is the owner. This is typically the bank, lender, or some other party, and not you. We are required to follow these policies. When there is not a mortgage involved, then the client is typically the party that ordered the appraisal- which in most cases is you- if you ordered it. Therefore, unless you are the client, we are not allowed to talk to you about the property valuation report without written permission from the client. Again, we are not trying to be rude. We would love to talk to you about your appraisal, but we must be compliant with the federal laws. It is important to note, however, that if you have concerns about your appraisal, you do have options. Any questions about the property valuation report and/or disputes over value should be directed to your lender, if they are the client, (not to the appraisal office). They typically have a process in place to contact us with your concerns that does fit within the guidelines of the law. It is our desire to serve you, but we must do it through the proper channels. I’m selling my home; why can’t I have a copy of the appraisal? If, as the seller, you have ordered the appraisal to establish an asking price for your home, you have ordered and paid for your own appraisal, and you are the client. This means you do have full access to speak with the appraiser and to have a copy of the property valuation report. Sometimes, however, we need to schedule appraisals with the homeowner on behalf of a prospective lender and/or borrower. If the appraisal is for a mortgage and the client is the lender, then you would not necessarily have access to the appraisal. You do have the option to ask the borrower/prospective buyer to obtain a copy from the lender; however, they have no legal obligation to accommodate your request. Can I use the appraisal for another purpose? The answer to this question is both “yes” and “no.” An appraisal is completed at a specific time and for a specific purpose (i.e. lending, purchase, divorce, tax, appeal, etc.). As such, the legality of the appraisal will only cover that specific time and purpose. For example, you typically will be unable to take an appraisal for ABC Bank and use it for a loan through XYZ Mortgage. However, using an appraisal for personal reasons is typically allowed. An example would be getting an appraisal on your home for a loan, but using the value to help make a decision on whether or not to consider listing it. Some entities will use appraisals that have been completed for other purposes, but it is not common.